If you’re short of money, visit our store in North Hills for a fast, easy auto title loan near me. It’s true: we can usually get you between $2,510 and $10,000 cash in about one day. 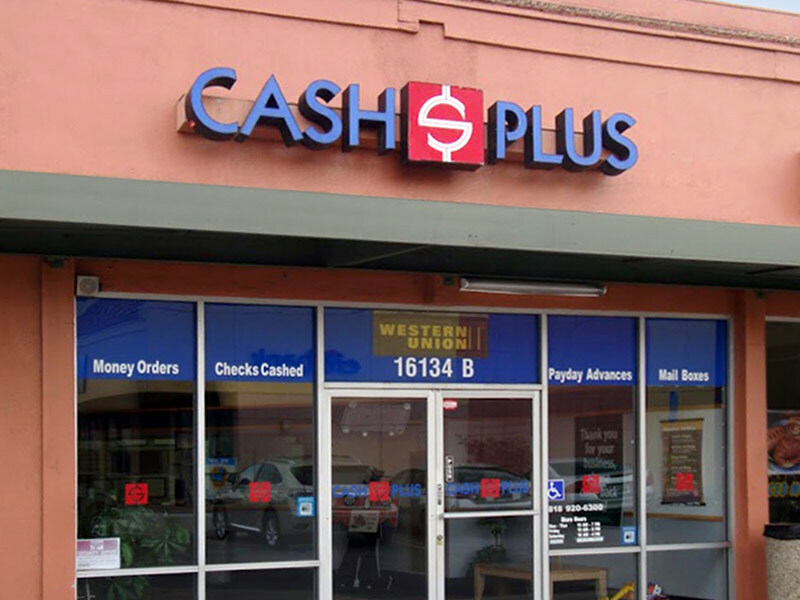 Getting an auto title loan from Cash Plus is really simple. Just come in with your ID, clear car title, proof of income and proof of insurance. We finance classics, autos, SUV’s and pick-ups. And, we can sometimes help if you have bad credit. Our friendly staff are looking forward to helping you out. Come in now! Need cash near me? You could be walking out of our North Hills store with your money in as little as 15 minutes. Short-term payday advance loans are a fast and easy way to get the money you need. Bring in proof of income, a blank personal check, your most recent bank statement and your ID. That’s it Bad credit shouldn't worry you, either: no credit check is necessary. Give us call in advance to make the process even quicker. Don’t wait. Get your cash today. Why does our North Hills store have so many happy check cashing customers? Simple. We’re fast, friendly and we can cash almost any kind of check, including payroll checks, government checks, insurance checks, tax refunds, cashier's checks, rebate checks, benefits checks, third-party checks, personal checks, money orders and more. Plus, we’ve got low, low rates and can cash checks even banks won’t cash. So see for yourself and walk out with cash and a smile. It’s really true that our North Hills exclusive Cash Plus Prepaid Debit MasterCard® is like cash with your name one it. But it’s also a lot more than that. Use it to withdraw cash from any ATM and to make purchases just about anywhere: in stores, by phone or over the Internet. You can even SAVE with it! Plus, you can load your card at our store or any other NetSpend retailer. Get yours now!